Image by Phrontis Some Rights Reserved. Under the Revised Containers and Packaging Recycling Law, which came into force in April 2007, Japan has been making efforts to raise awareness among consumers, with members promoting waste reduction and encouraging retailers to charge for plastic packages and containers, as well as distributing reusable shopping bags to customers. Below are the results of the survey conducted by the Ministry of the Environment (MOE) and Tokyo Metropolitan Government on the current status of these reduction efforts. According to the 2012 survey on plastic bags by MOE, all 47 prefectures, as well as nearly 90 percent (%) of 19 government-designated cities, 41 major urban cities and 23 wards of Tokyo are taking some form of measures to reduce plastic bags as of February 1, 2013. The methods vary locally, reflecting the characteristics of each region: discontinuing distribution and charging by creating ordinances, agreements or requests within municipalities; offering benefits to customers or asking for cooperation of shop owners; and asking shop owners to reduce plastic bags by whatever means they can. The charging method has been implemented in 35 prefectures, as well as a total of 31 government-designated cities, major urban cities and wards, most of which are showing an improved refusal rate for plastic bags, as well as an improved rate for shoppers bringing their own bags to shops. Benefit services, such as providing local currencies, coupons, gifts etc., have also been implemented in 20 prefectures and in a total of 24 government-designated cities, major urban cities and wards. The Tokyo Metropolitan Government conducted an online survey in the summer of 2014 targeting 500 Tokyo residents over 20 years of age selected from the public, and yielding a 91.2% collection rate. The survey aimed to identify residents' attitudes over local waste and recycling efforts, and the results were announced on September 30, 2014. As to the question of whether accepting plastic bags from shops, 41% answered that they bring their own bags and would not accept plastic bags from a shop. The percentage of those who receive plastic bags totaled 59%, with a breakdown of 9.9% always receiving bags; 21.7% sometimes refusing them; and 27.4% sometimes receiving them. 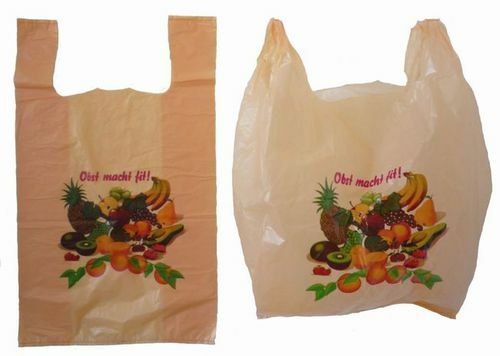 The reasons for receiving bags (multiple answers allowed) included: planning to reuse the plastic bags at home (75.5%); forgetting to bring their own bag (44.2%); because they are free (36.4%); and other answers such as extra bag was needed, and no benefit for refusing them. The ratio of those who do not receive plastic bags differs depending on individual differences. In terms of gender differences, 47.8% of women refuse bags, as opposed to 34.5% of men. In terms of age, 30% of those in their 20s to 40s refuse bags, whereas the ratio for those in their 50s and 60s was 47.8% and 53.3%, respectively. In terms of occupation, the ratio of homemakers was 50.8% as opposed to 23.1% for students. And in terms of region, 53.2% of those living in cities, towns and villages refuse bags, as opposed to 35.6% of ward residents. The JFS website has featured many articles on the nationwide movement of plastic bag reduction. A search for the term "plastic bags" returns more than a hundred articles for reading.